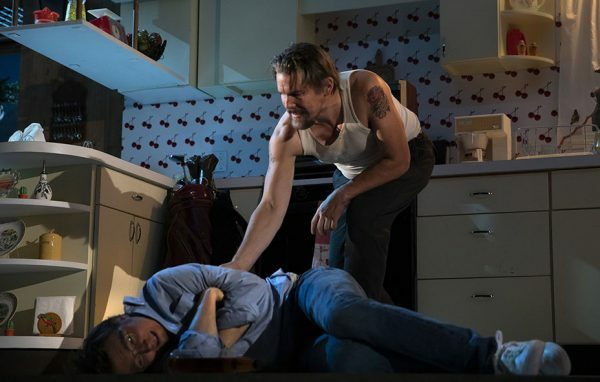 Sam Shepard’s True West is on the long list of American classics stars salivate to be cast in. 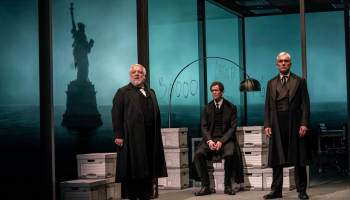 Like Who’s Afraid of Virginia Woolf, Long Day’s Journey Into Night and A Streetcar Named Desire, this oft-produced slam-bang symbolic brother act affords the opportunity for actors to prove their dramatic chops by thrashing the scenery as well as chewing it. 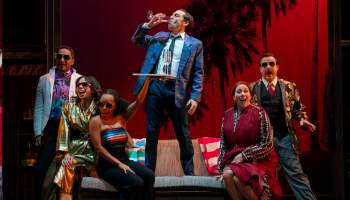 The new Roundabout Theatre Company revival is a blazing hot showcase for a mature, but still dangerous Ethan Hawke and a subtly intense Paul Dano with insightful, soulful direction from James Macdonald. Ethan Hawke and Paul Dano in True West. 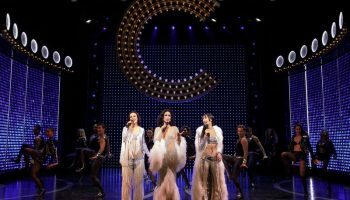 Originally produced in San Francisco in 1980, the play has gone through almost as many metamorphoses as the characters. After an unsuccessful mounting at the Public Theater starring Peter Boyle and Tommy Lee Jones, a sizzling revival from the Steppenwolf Theatre Company restored its reputation, launched the careers of John Malkovich and Gary Sinise, delivered a smash-hit run Off-Broadway for 762 performances, and was filmed for Public Television. An acclaimed 2000 revival featured Philip Seymour Hoffman and John C. Reilly alternating in the lead roles. The deceptively simple premise masks a complex examination of America’s obsessions with myths of manhood, movies, art, and the Wild West. Screenwriter Austin (Dano) is housesitting for his vacationing mother when his estranged brother Lee (Hawke), a drifter and petty thief, shows up to bring his usual reign of chaos. The stage is set for an epic battle of sibling rivalry as Lee worms his way into the good graces of Austin’s producer Saul Kimmer (Gary Wilmes), who drops Austin’s love story for Lee’s cliched Western saga. The brothers exchange roles as the rough-edged Lee attempts to refine his raw ideas into a coherent script and Austin descends into alcoholic despair and absurdly starts stealing toasters. Underneath the gradually eroding situation is bitter resentment over their absent father and a mutual emptiness neither can ever fill. Each wants what the other has; Austin feels his conventional nuclear family is not enough and Lee is dissatisfied with his drifting lifestyle. They think the desert—either of the movies or that of their imagination—can fill their inner voids. 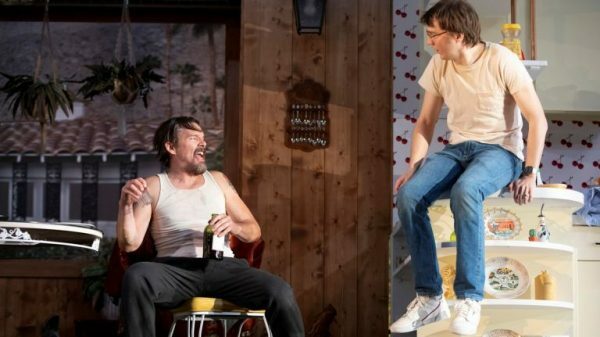 Paul Dano and Ethan Hawke in True West. Macdonald, one of London’s top stagers, captures the wild humor as well as the galvanizing energy of Shepard’s battling bros. His production works on two levels—the literal satiric conflict over the movie as well as the figurative struggle between Austin’s ordered world and Lee’s uncontrolled whirlpool of an existence. His transitions between scenes are startlingly sharp with lighting designer Jane Cox providing blinding immediate blackouts and Bray Poor’s eerie original music evoking country-western dreams and noir-ish nightmares. Kaye Voyce’s witty costumes perfectly capture each character. Both stars deliver top-caliber work. You would think Hawke would dominate the show in the flashier part of Lee. 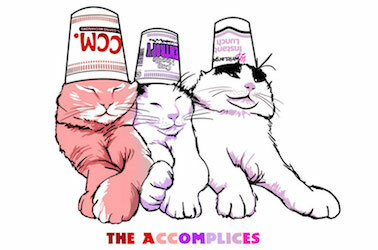 He does charismatically command attention, endowing every line with sneering contempt for civilization (represented by Mimi Lien’s kitschy set), barely suppressing animalistic rage, and physically holding back nothing (even appearing to urinate in a potted plant). But Dano is equally fascinating, slowly bringing deeply buried emotions to the surface and unleashing a tornado of anger as fearsome as Hawke’s. The cast is completed by the appropriately smarmy Wilmes as the producer and Marylouise Burke in a hilarious cameo as the boy’s bewildered mother. Macdonald’s final image is an arresting one—the normal world of the mom’s kitchen falls away and the brothers are caught in a stand-off in a symbolic desert (brilliantly realized by Lien, Cox, and Poor), a perfect representation of Shepard’s disturbing vision of America. Jan. 24—March 17. Roundabout Theatre Company at the American Airlines Theater, 227 W. 42nd St., NYC. Tue 8pm, Wed 2pm & 8pm, Thu—Fri 8pm, Sat 2pm & 8pm, Sun 3 pm (check with theater for early curtain times). $59—$169. Running time: two hours including intermission. 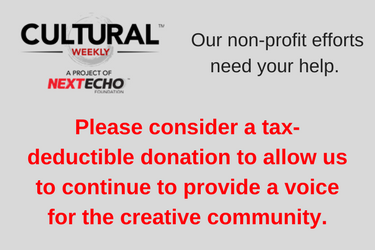 (212) 719-1300. www.roundabouttheatre.org. 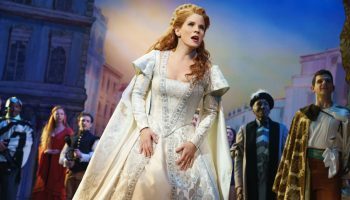 This review has previously appeared on ArtsinNY.com and Theaterlife.com.